56 underground parking spaces and 113 bicycle spaces. 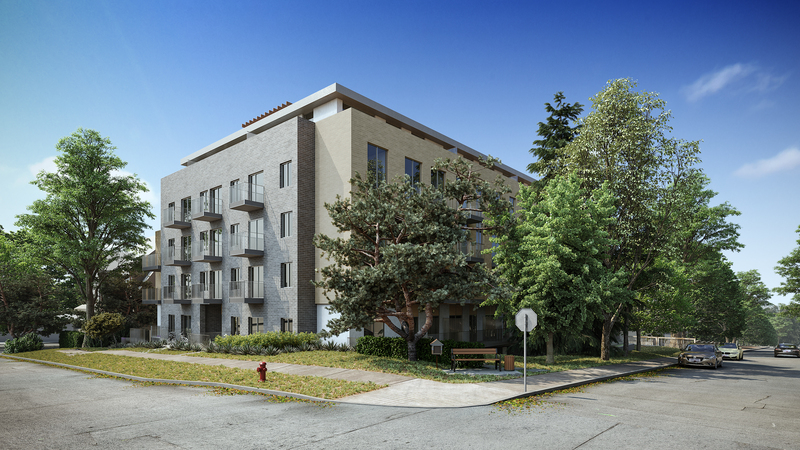 This application is being considered under the Moderate Income Rental Housing Pilot Program (MIRHPP). 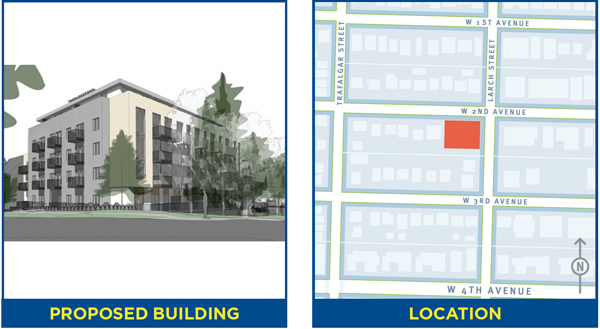 A community open house was held on Wednesday, April 10, 2019 from 5-8 pm at Kitsilano Neighbourhood House (Community Hall), 2305 West 7th Avenue, with City staff and the applicant team available to answer questions.